Getting rid of old carpet can literally transform a space. Whether it is old carpet that is just worn from years of kids and pets in your home, or countless hours of foot traffic in your office, new fresh carpet can be a game changer. Most of us out there know this fact and we love to tackle the project ourselves. It’s a popular task for the DIY’ers out there mainly because it’s not complicated. Ripping up old carpet doesn’t take long and isn’t terribly strenuous. There is only one issue though. What do you do with the old carpet once you have ripped it up? 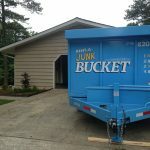 For both office and home carpet, the easiest, most cost effective way to get rid of the old carpet that you have ripped up is with the one and only Junk Bucket Dumpster. The Junk Bucket Dumpster is perfect for getting rid of carpet. It can fit pretty much anywhere (like your driveway or behind an office complex) for easy access. It’s also not high off the ground and has doors so that you can literally just walk the carpet into the dumpster. The loading is seamless. 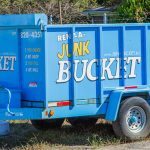 There is no better solution to carpet removal than the Junk Bucket Dumpster! It doesn’t matter if you have a lot or a little bit of carpet. Doesn’t matter if you want to throw away the pad and tacks with the carpet. Heck, it doesn’t even matter if the carpet is new, old or even smelly. 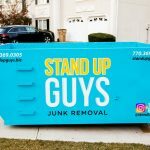 No matter what the case is, The Junk Bucket Dumpster can help you with all your carpet removal needs. 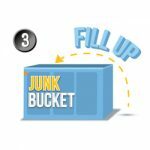 From A to Z the Junk Bucket is the answer! Ripping up your old carpet is the hard part. 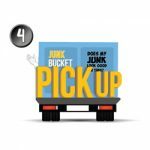 Scheduling and loading a Junk Bucket Dumpster is the easy part! We know the rest of a project can be stressful, so we make our contribution as seamless and helpful as possible. 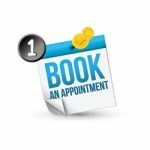 Once you have made the decision to remove your carpet, all you have to do is pick up the phone and give us a holler. Let us know when and where you want the dumpster and we will have it there right away! 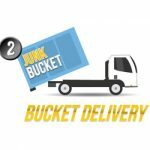 We will drop our beautiful, baby blue, sleek Junk Bucket Dumpster exactly where you want it. Wherever is easiest for you and your project. Once it’s there, just load it up at YOUR pace. We will not rush you. 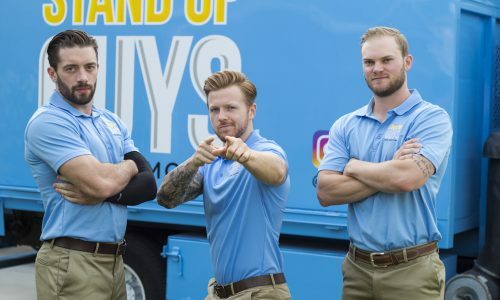 Once you’re done, give us a ring and we’ll take care of the rest.